Because it is a classical martial art, the goal of Tang Soo Do is the development and unification of three basic elements - body, mind and spirit. Our effectiveness as martial artists as well as our success in life comes from a deep understanding of each of these three aspects of our nature as human beings. Through serious, dedicated and honest training we come to recognize our strengths and weaknesses, learn to face our fears and eliminate the limiting obstacles from our lives. More important, we discover how to isolate and harness the limitless power of "Ki" or "Chi" that resides and flows within each of us. Attaining this higher level of being is a lifelong task that requires single-minded dedication, perseverance and proper preparation through instruction. This is what separates Tang Soo Do from other activities or sports. It is a way of life. 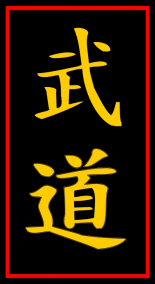 The concept of "Do" - literally meaning "the way" is the goal of each martial artist. It is not only the understanding of the right way to execute physical techniques, but the correct way to act and react in life's situations, and the strength of character and conscience to lead a virtuous, balanced life. "Do" is the journey to create this better life for ourselves, and in so doing, create better families, communities and societies. In Tang Soo Do we have available to us valuable training guidelines such as the Eight Key Concepts and Ten Articles of Faith on Mental Training. These in turn revolve around the concept of "Moo Do", which translates to stopping inner and outer conflict, and is central to our art. The actual processes that take place in us during training to effect these changes is complex, but here is an overly-simplified view of how Tang Soo Do affects the three basic human elements. First, the body is trained to execute a variety of physical techniques such as correct stances, stepping, punching and kicking, with the complexity of each increasing over time. Techniques are then practiced as pre-set routines to develop good form, and as drills to develop speed, power, balance, and timing. As a result, the body begins to experience profound changes in flexibility, circulation, endurance, coordination and strength. Technical competence and increased physical health are gained at this level. As the body acclimates to the physical movements, the mind is trained through increased mental focus for the proper execution and refinement of the techniques. Beginning students will notice improved concentration and awareness, while more advanced practitioners begin to channel this heightened awareness on controlling the body's metabolism and energy flow, particularly through proper breathing. The mind-set of proper training habits also becomes more apparent. Discipline and self-control are indicative of this level. The third element, development of the spirit, is perhaps the most difficult to quantify as it deals with more abstract personal qualities. It usually develops in later stages as the body and mind begin to exhibit greater unity. At this level, students display an increased sense of calm and mental balance characterized by self-confidence, self-respect, courage, humility and even compassion. Students become more aware of who they are, their accomplishments and the potential for continued growth and self-cultivation. Ultimately, we strive to merge body, mind and spirit so that struggle in our lives is replaced by an effortless flow which is evident in everything we do. This is the quality attributed to many Masters throughout history that have dedicated themselves to the "way" - that they moved as if they glided, that one felt their presence when they entered the room, or saw the kindness and compassion in their face, or that an opponent accepted defeat simply by looking into their eyes. There are many reading materials that address the above subjects directly and we should broaden our knowledge through research. Sometimes however, we find information that helps us in some way from a completely different, unexpected perspective. Even fiction has the power to change us if rooted in what is truly possible. There are a few books that I have acquired over the years that have had such value for me. I offer them to you in the hope they may have a similar effect.